Having been used by Bloomberg L.P. since 2015, COTRI Analytics provides the most reliable dataset for the 80 key destinations visited by Chinese outbound travellers. COTRI Analytics delivers to companies, organisations and media outlets around the world data and analysis that empowers them to understand the market, recognise trends and guide investment as well as other business strategies. The data delivery includes quarter-by-quarter breakdowns of total numbers of arrivals, age groups, gender distribution, education level groups, residence in China according to city tier, purpose of visit, organisation of travel and accommodation distribution according to star ratings, all in terms of percentage and in terms of absolute numbers. Data is provided as a comprehensive excel data sheet plus eight powerpoint slides per destination, which includes an executive-level analysis of the development in that quarter and infographics for each data category. 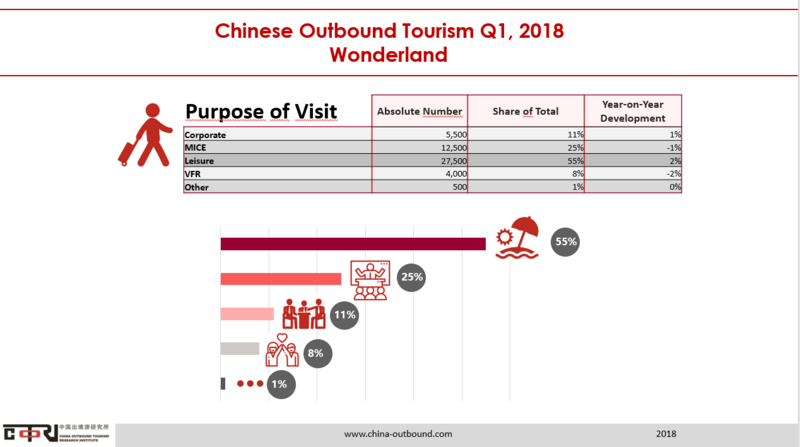 Additionally, a slide with an executive-level analysis of the total development of China’s outbound tourism for each quarter is provided naming winner and losers, new policies, new air links etc. COTRI Analytics are delivered for all 80 leading destinations within two months after the end of the relevant quarter. WHAT HAS BEEN IMPROVED IN COTRI ANALYTICS? Widened range of extra data services such as spending, breakdown of source region and visited places by cities, forecast etc. Most countries and regions provide only arrival statistics sorted by country of origin, but even these are often unreliable, from counting flight attendants and students as tourists to counting the same traveller multiple times as they move from city to city. Data are often published months or even years late, while the same country’s statistical office, tourism authorities and politicians may all quote different statistics, often conflating for instance country of residence and country of origin or mixing Mainland arrivals with those from Hong Kong and/or Taiwan. Surveys which go beyond simple arrival numbers are in most cases conducted in a way which does not use sufficiently large samples of Chinese arrivals, especially in countries in which China is not the main tourism source market. Statistics produced within China are seen by many experts as being unreliable. Clear definitions are not provided and often numbers appear to be doctored to fulfil political goals. COTRI Analytics data, as opposed to this, are based on a wide range of methods and sources to overcome the limitations of available information and the experience of decades working with the market. 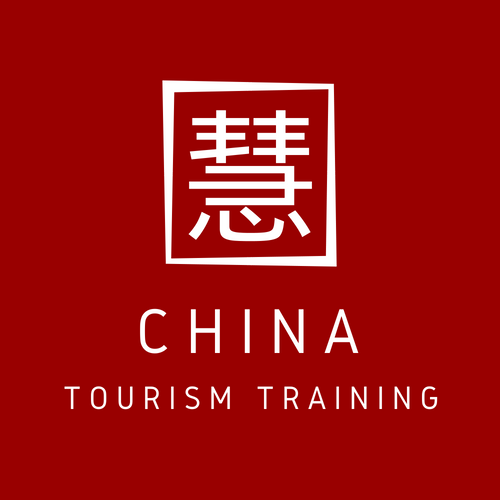 Focussed primary research – primary data are collected by COTRI, its partners including Ctrip, QYER and other major Chinese players, the COTRI China Outbound Tourism Experts’ network and through in-depth interviews with key stakeholders in China and in the destinations. Comprehensive secondary research from surveys, studies, research papers and other published sources, which are used within the extensive COTRI database specifically for the 80 destinations under constant observation. 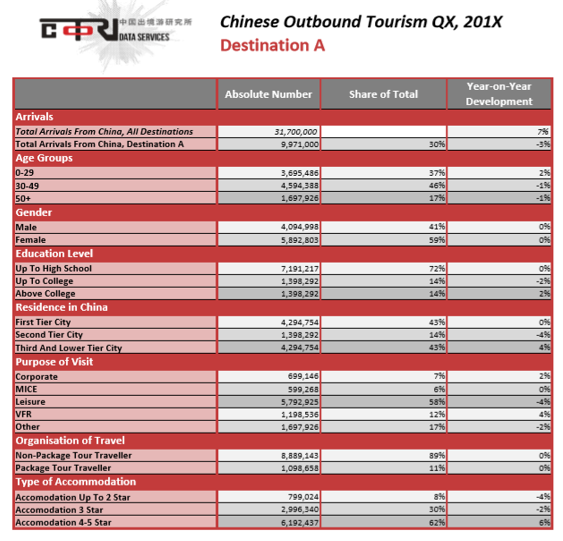 Decades of experience of effects on changes in social, economic, political and logistical frameworks in China and in the destinations on the different segments of the Chinese outbound tourism source market, providing COTRI with unique instruments of comparative analysis. COTRI Analytics does not claim that its figures are perfect, which is why data is not published below the level of full percentages. In short, nobody in the world knows whether 22.67% or 22.62% of Chinese tourists arriving to Vietnam in March 2017 were below the age of 25 or not. But, to the best of our knowledge, nobody in the world tries so hard and uses such wide sources of information in order to provide leading statistical analysis in the industry. For most destinations – and especially for years from 2015 onwards – the application of these multifaceted approaches can keep the range of error to (±) 1%. For the year 2014 and earlier, as well as for some destinations with limited available information and/or smaller numbers of arrivals from China, it can move up to (±) 2%. However, in almost all cases any existing biases will be systematic, meaning that the trend of growing or falling percentages has a low range of error. Therefore, we are able to say with pride that COTRI Analytics provides the best and most reliable figures on the market when it comes to Chinese outbound tourism. Fortunately, Bloomberg L.C. the No. 1 source for business data in the world, distributing our data to more than 300,000 users, and many tourism, hospitality and retail companies and organisations around the world share our conviction. Subscribe to COTRI Analytics and receive the latest available quarterly data on your selected destinations delivered to you every three months within two months after the end of the quarter analysed. COTRI offers also customised COTRI Analytics datasets with additional data categories, segmentation down to city level for origin in China or cities visited in destination, monthly instead of quarterly datasets, extended analysis, forecast etc., starting from the year 2011. Please note that based on the different levels of availability, quality and reliability of information, not all forms of customization can be offered for all destinations or for all periods of time. Prices on request. Annual subscription, renewed if not cancelled before end of previous subscription period.